﻿"History" is much more than a walk down memory lane. It serves as a key to our identity. Sometimes people don't know who they are because they can't remember the past or how they got to the present. We are not only products of our past, but what we hope to become. 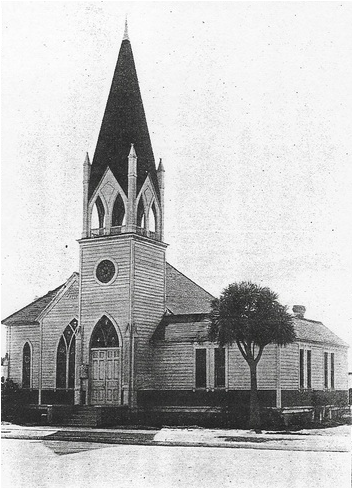 In November 1902, St. Mary of the Assumption (the first Catholic Church in Santa Maria) rented the old Methodist church building until a church building of their own could be built. In 1955, the Japanese Union Church (organized in 1929) became Christ Methodist Church. 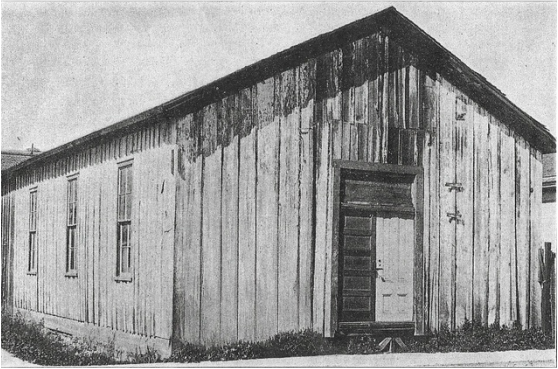 In 1960, the church provided loan security which enabled Los Osos Methodists to build a church building. In 1963, the church sponsored and helped organize St. Andrew United Methodist Church. In 2000, the church welcomed St. Phillip African Methodist Episcopal Church, and also Bethel Korean United Methodist Church to share use of their historic old building. Methodists roots go deep in Santa Maria history. The METHODIST SOCIETY was organized on May 7, 1873, with D. Haskins as its pastor. Since there was no church building, they worshipped in Fleisher's Hall part of the time and Pleasant Valley schoolhouse the rest of the time. The community was referred to as "Grangeville". In 1874, when a town site was laid out, the "founding fathers" named it "Central City." This designation did not last long as some of the mail ended up being sent to the famous mining site of Central City, Colorado. At the insistence of postal authorities, the name had to be changed. In 1882, the name was changed to Santa Maria. ﻿Some said, "Tear it down." Others said, "Why bother? One of these days it will just fall down anyway." Still others said, "What is the First United Methodist Church doing in our downtown mall - people come here to SHOP!" The 1986 Earthquake Hazards Reduction Act drove such discussions. Either the building had to be reinforced by the end of the decade or razed. When you confront a bunch of Methodists with the prospect that their historic old church will fall prey to the wrecking ball, you get their immediate attention. That's especially true when the beautiful old stained glass windows are inscribed in memory of early Santa Marians such as Newlove, Stowell, Oakley, etc. Also, the old bell tower that hangs in the bell tower was taken from a Point Sal shipwreck in 1876. But where was the money to come from to rebuild? It was estimated it would take $1.3 million to redo and expand the structure. That's a lot of bake sales, folks! At that point, the church building enjoyed debt-free status. People did rally around the rebuilding project. Pledges were received and special gifts were given. Part of the back of the building was demolished to make way for the new entrance off the Town Center West parking lot. The building was expanded westward, upward and downward. An elevator was installed to provide wheelchair access to all floors. Doug Reeves served as architect. Alan Roinstead served as the construction manager, and First Valley Bank provided the loan for the project. Countless hours of volunteer labor assisted. The church's decision to remain at the corner of Cook and Broadway and upgrade was made because the congregation felt it was important to maintain its presence in the center of downtown where it could be better serve the community and its mission. In the early history writings of FUMC, there had been no mention of the Filipinos, but their presence and influence in Santa Maria is well documented. In Shirley Contreras' book, The Good Years, written for the Santa Maria Historical Society, migrant Filipino workers, in the early '30s, came to Guadalupe and Santa Maria. The next wave of Filipinos occurred when World War II broke out in 1941. By the 1970s, the more educated Filipinos came. On July 1, 2014, FUMC was blessed with receiving our first-ever Filipino minister, Bob Isip and his wife Marlou. This young couple has brought a new energy to FUMC, and as a result, the Filipino membership has increased significantly. October is Filipino American National History Month. So, the correction of the Filipinos' part in FUMC's history is long overdue.